Syria’s Assad regime has put pressure on European countries to reopen embassies in Damascus, revoking multi-entry visas for diplomats based in the Lebanese capital Beirut. Three senior European Union diplomats said the revocation, which further complicates efforts to distribute aid to those affected by Syria’s 94-month conflict, was implemented at the start of January with no explanation from the regime. European representatives now have to apply for single-entry visas each time they wish to visit Syria. The Assad regime is seeking the impression of a return to normal relations as — propped up by Russia, Iran, and Hezbollah — it has claimed of much of Syria. The UAE reopened its embassy in December, and Bahrain reportedly will soon do so. Pro-Assad outlets put out unsupported stories that European countries such as the UK and Italy were refurbishing their embassies in preparation for renewal of ties. Despite barriers and denial of access by the regime, the European Commission has provided 800 million euros ($909.44 million) of food, medicine, and shelter for Syrians inside the country. A Commission spokesman said the EU is “doing everything in our power to take appropriate measures to minimize any impact on the delivery of EU humanitarian assistance inside Syria”. 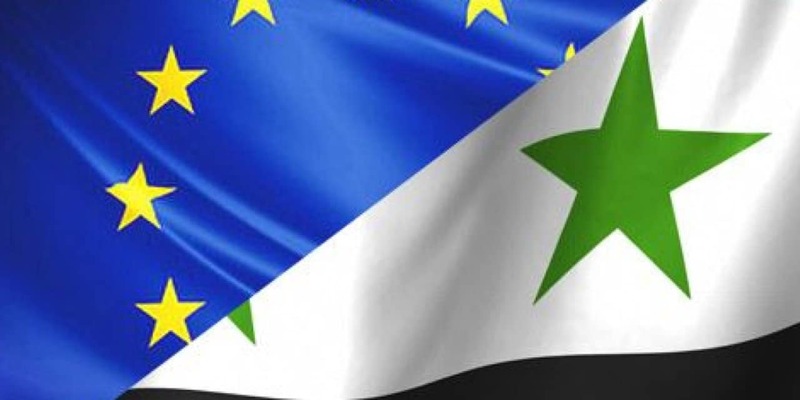 On Monday, the EU sanctioned 11 Assad-linked businessmen and five companies for their role in expropriation of property and removal of residents, taking land for high-rise complexes for wealthier Syrians.